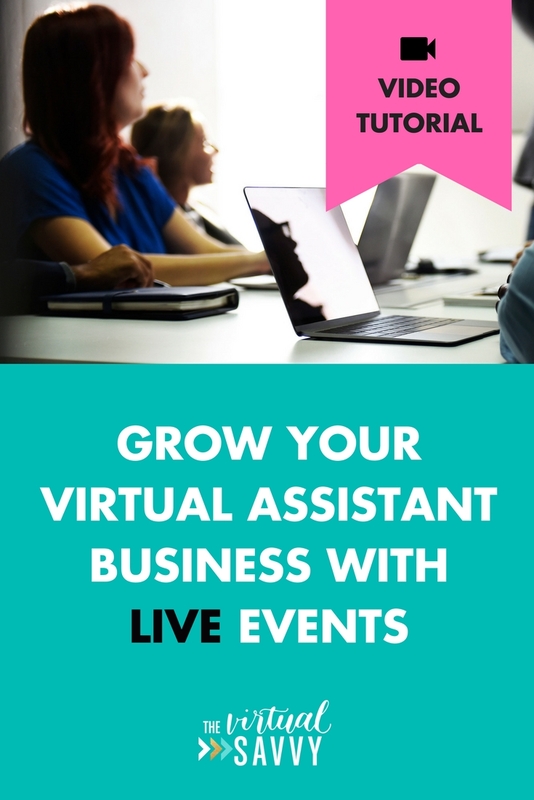 Want to learn how to grow your Virtual Assistant business with LIVE events? You’re in the right place! Whether you are just starting your business and looking for your first client, or established with a solid roster of clients, live events are a great way to grow your VA business. You might check out your local scene for live events, or maybe you’re looking for an excuse to take a cross-country business trip. Today, I am sharing with you 3 ways to grow your virtual assistant business with live events. What benefits can I get out of a live event? What is the best way to present myself at a live event? What prep work should I do ahead of time? I shot a dandy little video for you to showcase how I personally take advantage of live events. Check it out! Make sure you LIKE OUR FACEBOOK PAGE to be notified of our next livestream event. You may be attending a live event with the isolated mindset of, “I’m going to meet clients.” If you don’t have any promising prospects, sometimes a live event can feel like a failure. However, look for those live events that are presenting really good topics. The content portion of a live event is definitely something to acknowledge when you’re there. Prep yourself for what type of content you want to consume. What does your business need to grow? Is it help with social media? Growing an email list? Better content or web design? If there are a ton of workshops, be strategic about what content you want to pay attention to and what sessions to take notes at – you can leave with a lot of great business tips for your OWN business. Always bring your laptop or paper/pen for notes! Sometimes connecting with other people is not just about getting more clients (direct clients), but finding connections for collaboration. There is a lot that can happen to grow your business through collaboration. Did you just meet another VA? Find out how your businesses can benefit each other. Did you find another service provider that you can talk to about the possibility of working together? For example, maybe you’re stellar at content and you found a fantastic web designer. Perhaps you can create packages together! Find out who a person’s network is. Their network might need your services! There is a ton of opportunity at live events to make collaboration connections. If someone is hosting a podcast, position yourself as an expert in your field to snag a podcast interview. Or, find people to interview on your own podcast. Find out if you can help at the other person’s own live event, if they are well-connected to a large network in need of Virtual Assistance, or else willing to collaborate on big projects. Clients are important, but don’t miss out on the other opportunities that exist to grow your business through fresh content and new collaborations! And finally… clients! Go to live events with the mindset of getting clients. As we talked about already, you need to go in with the mindset of grabbing great content and awesome collaboration connections for your business (especially if they have an expansive network), but I also want you to connect with those people that could be ideal clients while you are at the live event. However, at the end of an event, not getting clients is not a total loss! There are lots of great things to get from a live event. Live events make you feel like you are a legit business owner. It makes you feel proud of your business and of your hard work. It can boost your self-esteem, and it’s a great way to practice networking. Now, you may be asking… HOW exactly do I find clients at live events!?!? Want more tips for finding clients? 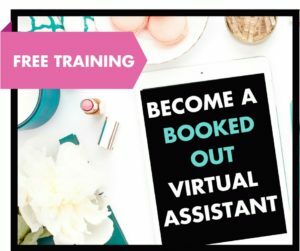 Join our free training, “Become a Booked Out Virtual Assistant”. Don’t go in to a live event blind! This may mean a little time investment on the front end, but it will give you the biggest bang for your buck at your live event. That means take time before your live event to do your research about who else is attending. Find out who is going to be there and make a plan to connect with at least one person. Exchange resources with that person. Who specifically do you want to talk with while you’re there? Make a list of speakers and guests and go in with a plan. My favorite place to get business cards for your business is Moo. I mean seriously… aren’t these business cards incredible!? It’s okay to not have a website built yet. Purchase your domain and post a coming soon page. Establish a Facebook Business page. To make the most of live events, collect business cards from everyone you meet! Actually connect with them and take the cards. Make genuine connections, and collect as many business cards as possible. This step cannot be overstated; it is too important. Making connections is central to growing your business. I hear a lot of people talk about perfecting your elevator pitch. Don’t get me wrong – I 100% love this idea. People go in to a live event and are often focused so much on themselves and on what they’re going to say in their elevator pitch that they never turn the spotlight to the other person. This might be from nerves (we just can’t stop talking!) or because we want to use our hours of practice in the right context. Genuine connections means listening and asking more questions. Most people only talk about themselves. If you have to choose only one, instead of perfecting your elevator pitch, go in with a list of questions to ask OTHER people. As an introvert, this can seem scary. Prepare and practice your questions, just as you would anything else! As a service provider, our job is to get in their business! Ask the good questions. Get into the mind and the excitement behind other business owners. Have a list of questions ahead of time that you could be asking people at live events. What do you love about your clients? Why do you think your business is different? What sets your services apart? What makes your business more successful than your competitors? Ask these type of questions, and you’ll get into the heart and mind of the business owners. Get insight into their business. Take notes. You have business cards and genuine connections. Business owners will be very open about their pain points. Serve and deliver, or connect them with someone else who might be able to deliver on their pain point. Ask the pain points, and then do the follow up. Grab business cards and write notes on the card to follow up. Follow up within 3 days. Send an email. Send a LOOM video reintroducing yourself so they can see your face. This is the ART OF THE FOLLOW UP. This is how to leverage live events – local events, conventions, conferences, and workshops. At the end of the day, growing your VA business all boils down to just one thing – genuine connection. 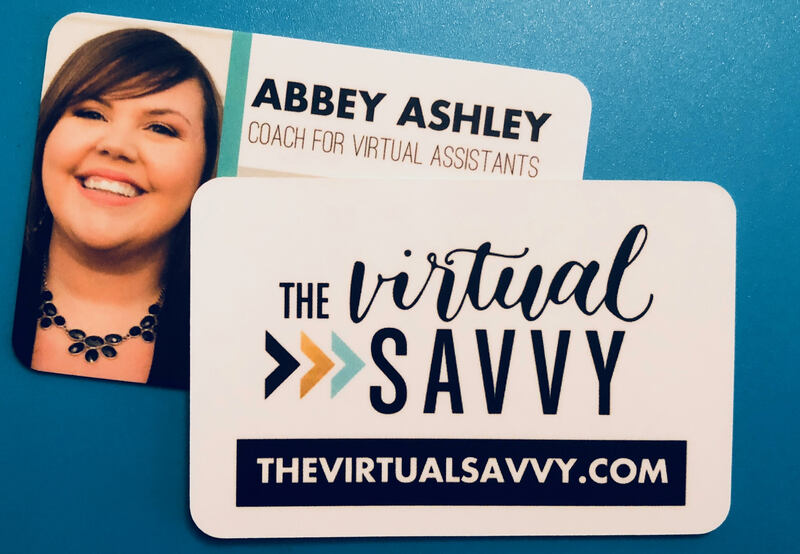 Want more marketing tips for your Virtual Assistant business? Check out our FREE training “Become a Booked Out Virtual Assistant”. Talk to me! What do you love about live events? Do you have any tips of your own to share?